This recipe is again from Rayalaseema village recipe being made with Bitter-Gourd especially with Onion and Chilly Powder with no major other ingredients except for tempering. This would go good with Plain Rice and other Major dishes. Please try and get us your feedback in the group. Finely chop onions, add salt, turmeric and chilly powder, mix well. Meanwhile peel outer skin of bitergourd, cut into 3 pieces and remove seeds. Stuff this onion mixture inside and keep the remaining. 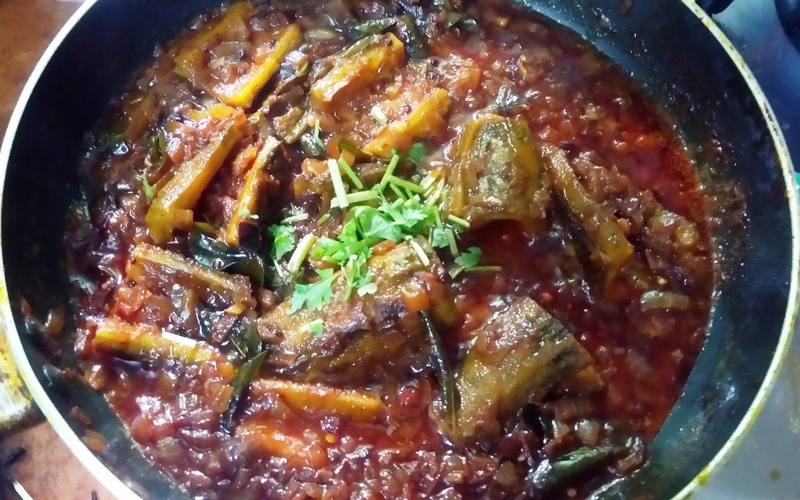 In a non-stick kadai add more oil 100-150ml, temper mustard seeds, urd and channa dal, add slitted green chillies, add curry leaves and place the stuffed karela in the pan. Once half cooked, add the remaining onion mixture, add little water, mix well and cover with lid for 10-15 mins until cooked. Remove lid and mix well and sprinkle water if necessary. Check salt for taste. Cover again and cook for 5 mins until Bittergourd is fully cooked. Your spicy Rayalaseema Special Kaakarakaya Ulli-Karam is ready to serve with any main courses. Serve with Pride...!! Serve with Joy...!! 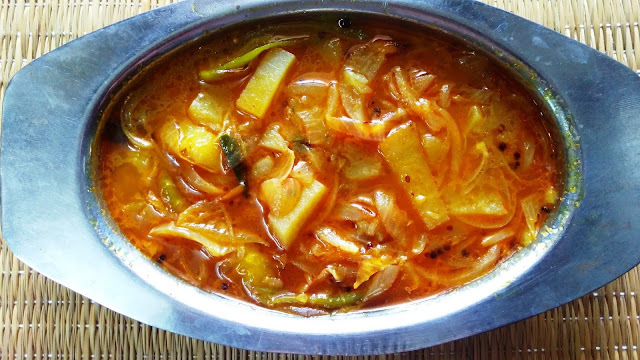 This is a special dish from Ananthapur of Rayalaseema, Andrapradesh. Kaakarakaaya is nothing but our Pagarkkai (Bitter-Gourd), which is a semi gravy recipe. Normally Pulusu would be watery. 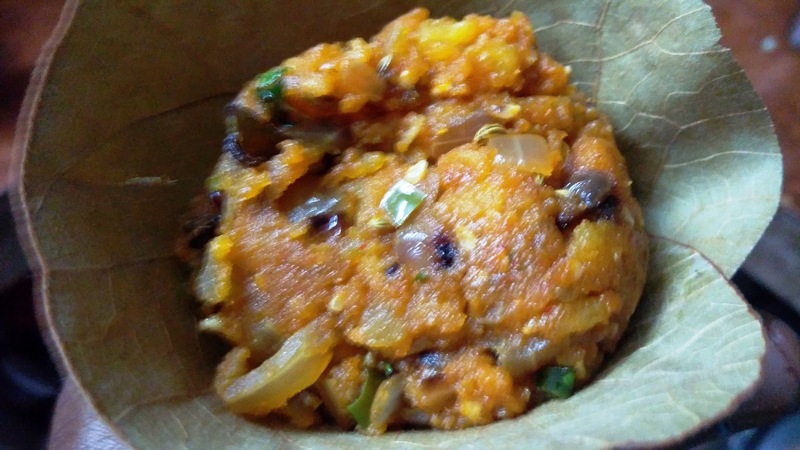 But the speciality of this Kaakarakaya Pulusu of Ananthapur would be Semi-Gravy, which goes very yummy with boiled rice or as a side dish too. Since this contains Garlic, Ginger and Onion as main ingredients, those who dont like can stay away. I got this recipe from one of my friend from Andhra Pradesh on phone today and just posting it. Will make video and post in due course of time. Meanwhile, please try this special recipe and let us have your feedback. Ingredients : Cut 4 bitter-gourd into slices, boil in water along with little turmeric and salt, drain it and have a shallow fry in oil and keep ready. Other ingredients are :- Salt, 2 green chillies, 2 dried red chillies, Oil as required, Ginger-Garlic Paste, Jeera, Chopped coriander leaves, Curry leaves, Turmeric powder and Chily powder 1 tsp each, 1-Tomato, finely chopped, 1/2 inch size Jaggery, Thick tamarind Juice, 4 nos sliced onions (Round shaped) and Masala Paste. Masala Paste : 1-Onion, 1-Tomato, Cinnamon, Cloves each 2 or 3 pieces, Coriander Powder 2 tsp, Grated Coconut 1/4 cup. Grind all the above with water to a paste and keep ready. In a kadai, add oil, splutter mustard seeds, jeera, curry leaves, add green chilly, red chilly, Onion and cook well. Once cooked now add Cooked Bitter-gourd and saute well. Add Chilly powder, turmeric powder and mix well and allow to cook. Then add the Masala paste, ginger-garlic paste and saute well, until raw smell goes. Now add the thick squeezed tamarind juice, add required salt and allow to cook for 5 mins in medium flame. Add jaggery, mix well and serve hot. 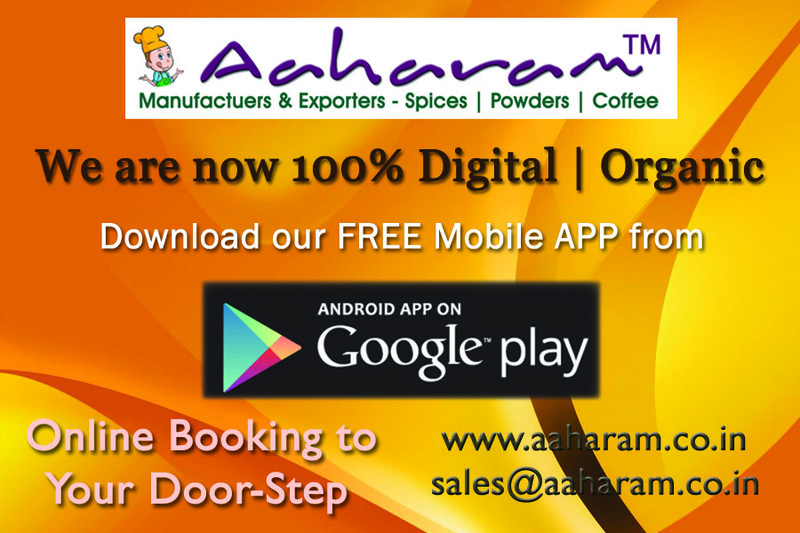 your Special Ananthapur Kaakarakaya Pulusu is ready...!!!! Serve with Pride... Serve with Joy...!!! 1. Soak moth bean and Chenna overnight. Cook for 6 whistles. 2. In a kadai, add oil and ghee. Add cumin seeds, bay leaf, cardamom, Cloves, cinnamon sticks. 3. Grind onion, green chilly, garlic and ginger. Add this paste. 4. Cook till raw smell goes. 5. Add tomato purée. Add salt. Add all powders. Let the oil comes out. Then add cooked Chenna and beans. Add enough water. Let it cook for 10 minutes. Garnish with coriander leaves..! 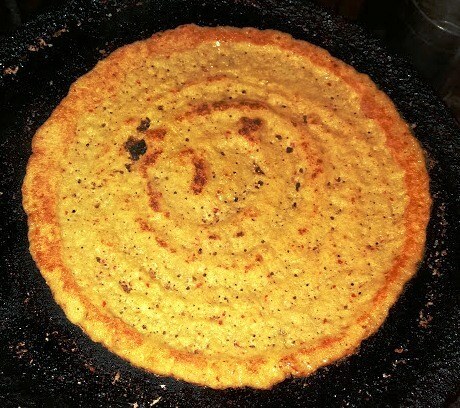 Traditional Siruthaniya Adai (Millets Adai). 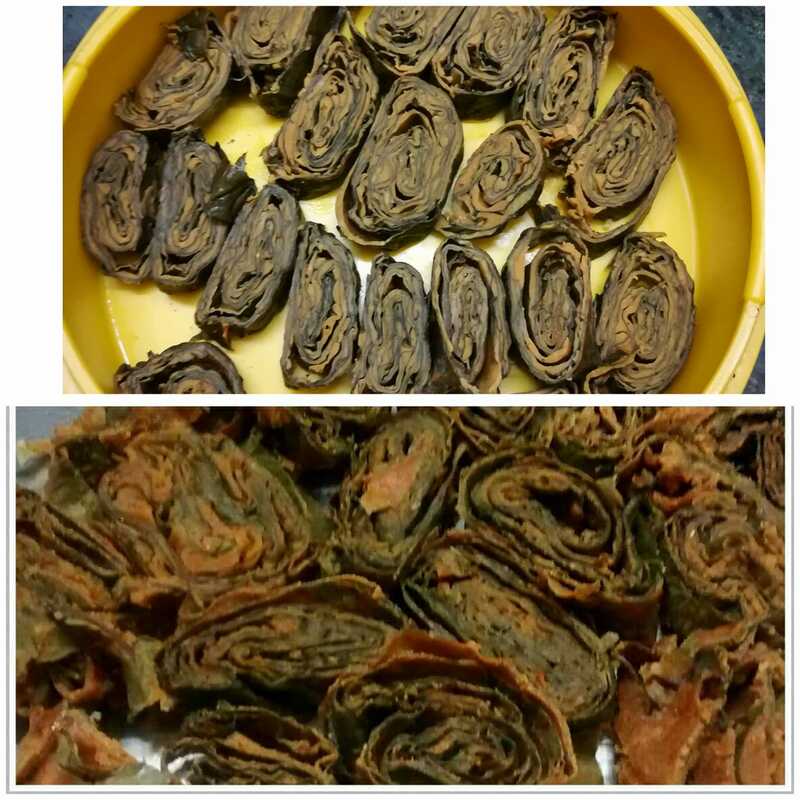 This is one of the best food which our grannies had to sustain good health. The main reason for having these millets into our food is as follows. Varagu : Reduces weight & Stress remover. Soak 200gms of Kambu, Kezhviragu, Solam, Kollu, pasi-payaru, Kudiravaali, Saamai, varagu and Urud dhal and 5 tsp of Kondakadalai for 8 hours. Grind along with Ginger, Garlic, Salt and Red chilly. No fermentation is required. Mix fresh drumstick leaves to the batter and make Adai. (You can mix finely chopped onions to the batter if you wish for further taste). 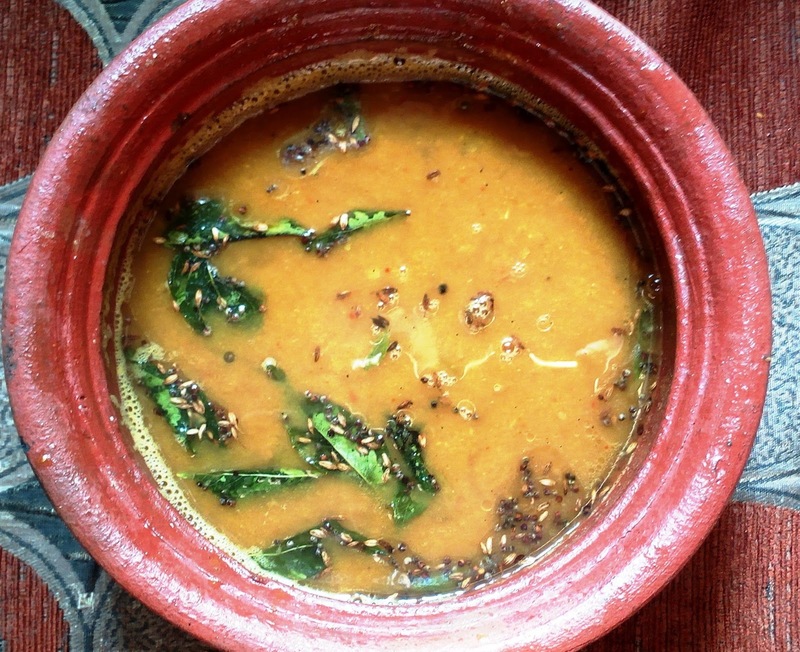 Serve hot with spicy red / green chutney. Especially kids will love this combinatin of food and make them hale and healthy. This is best for aged person to maintain their good health. Twice a week would defenitely change your health sustainable. Try and get us your feed back. Method : Wash the leaves and pat them dry. Remove the stems and trim the veins which are a little thick. (Use rolling pin to flatten). This makes its easier to roll them. First dry fry the besan in a pan into aroma comes. After cooling, Take a bowl, add tamarind water haldi powder, chilli powder, daniya powder, garam masala powder, jeera powder,jaggery,salt and besan and mix. If it is too runny add a little more besan, the consistency should not be runny. Take a leaf. Place is on a plain surface such that the darker side is downwards and the lighter side is upwards also the narrow tip should face towards you. Now apply a thin layer of the mixture evenly. Place another leaf in the same way but this time the narrow tip should be in the opposite direction. Repeat for 4 to 5 leaves. Boil 2 big potatoes, peel skin, add pinch of turmeric powder, chilly powder to taste, chopped coriander leaves, 1/2 tsp of Garam masala Powder mash with hand and keep ready. 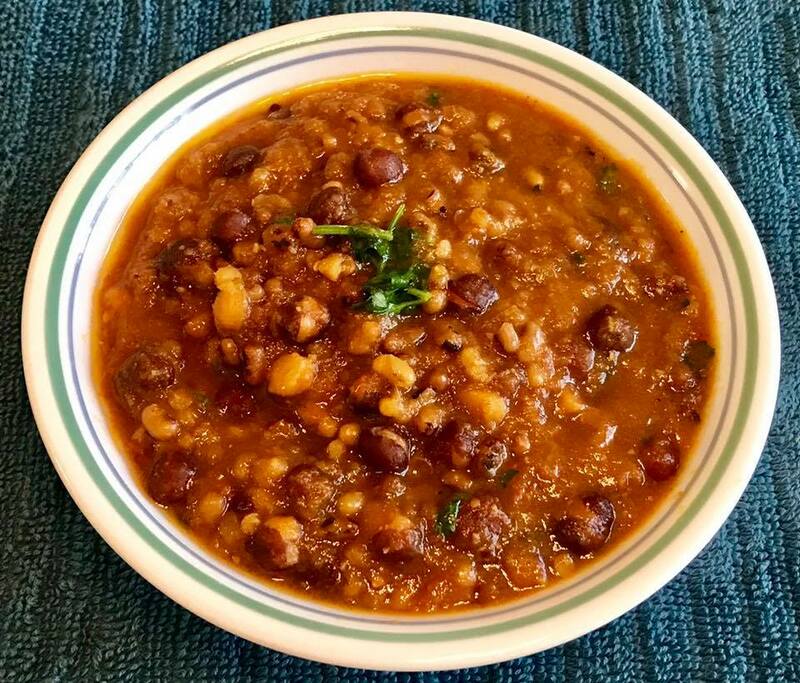 In a heavy bottom kadai, add oil, splutter mustard seed, add urud dal, channa dal, finely chopped onion, green chilly and chopped curry leaves and saute will until golden brown in medium flame. Now add seasame seeds and Saunf (Sombu) and mix well. Now add the mased & mixed potatoes to it. No water to be added. Saute well until cooked. and serve hot in the Leaves. This Special Urulukizhangu Masala served in Nagappattinam Mittai Kadai in South mada Street, Madurai. Tonight's Dinner special with Dosa. 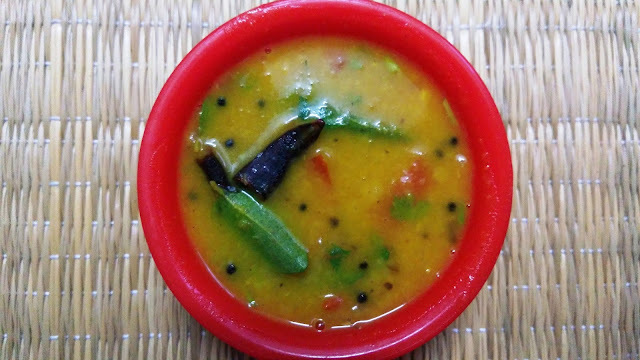 Andhra Tomato Pappu : A simple authentic recipe from interior andhra pradesh not of our brahmins. But a cusine that goes very well with steamed rice, roti, chappati, etc. Pressure cook 1 cup of Tur dhal, strain water, mash it and keep aside. In a kadai, add oil, splutter mustard seeds, cumin seeds, crushed garlic pods (5-6 nos), 2 slitted green chillies, 3 red chillies, and sliced onion one by one and saute until golden brown. Add tomato and mashed dhal, mix well, sprinkle turmeric powder, salt and mix well. Add 1 cup of strained dhal water, add curry leaves, mix well and keep in medium flamed covered with lid for next 3 - 4 minutes. Once cooked remove, garnish with finely chopped coriander leaves and serve hot. 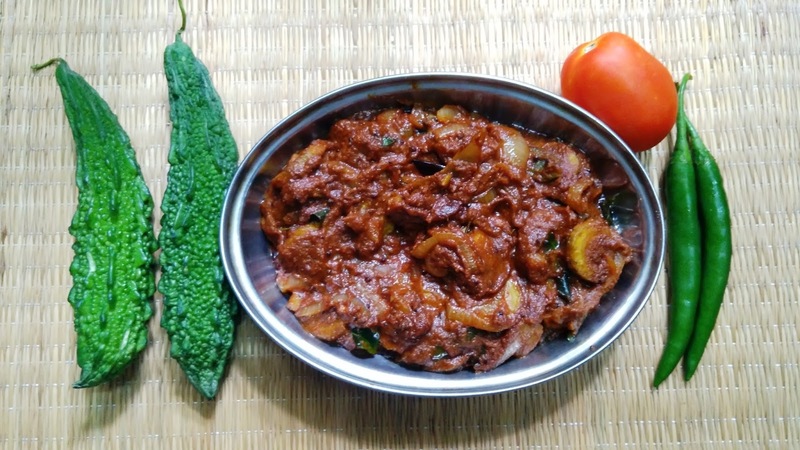 Your special Andhra Tomato Pappu is ready. A very easy, simple and tasty recipe. Today's 06/06/2017 special recipe is from interior Andhra Pradesh again. When I was studying in Rajahmundry during 1980, (37 years back), my mom used to do this Bangaladumpa Iguru (Potato Curry) on a regular basis. Yesterday while talking to one of my telugu student, I immediately got into mind and asked daughters, who told to prepare today, so that they can have for morning and afternoon lunch. Here is the recipe for authentic / special Bangaladumpa Iguru. 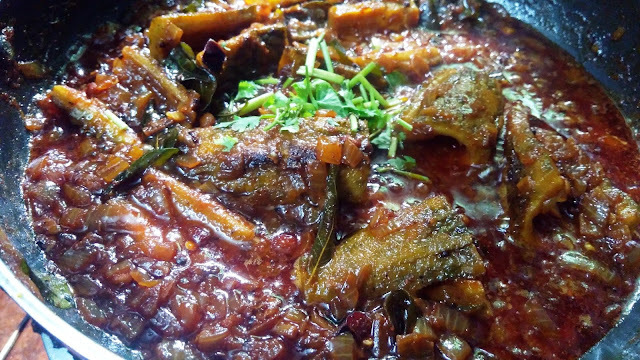 In a kadai add oil, saute cloves, dalchini, bayleaves, green chillies, onion and curry leaves. Once onion is golden brown, add cubed / diced potatos, sprinkle turmeric and chilly powder and cover with lid and let it cook in medium flame for 2 to 3 mins. Remove lid, add 1 cup of water and bring to full boil until potatoes are cooked. This should reach a semi solid state like gravy. Once finished, remove and garnish with coriander leaves and serve with steamed rice, roti or chappathi. Your special Bangaladumpa Iguru is ready. This is the ratio for grinding the Rasam Powder... This has to dry roasted in a kadai and allowed to cool and powdered in mixie and kept ready. Now bring to boil Tamarind juice along with turmeric and Kal-Uppu (Salt). Once boiled, add cooked / mashed Tur dal, add chopped 1 no tomato and bring to full boil again. Once everything is cooked, add the grinded powder and mix well and add adjust salt to taste and Water to its consistency.... Ellam kan thittam thaan.... Once starts to boil, switch off, temper with Mustard seed and Curry leaves and garnish with more chopped coriander leaves. Your yummy / special Kalyana Rasam is ready to serve with steamed Rice.